I’m not the greatest snooper. 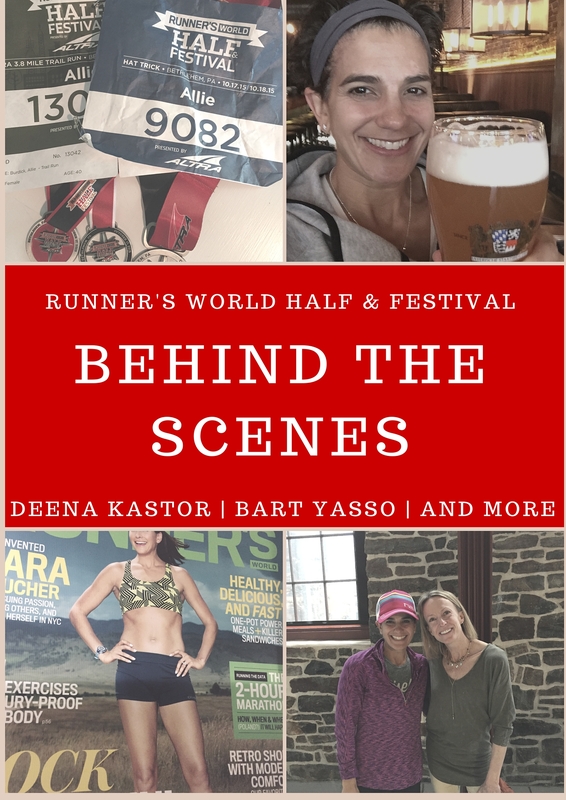 I have trouble lurking behind the scenes (shocking, I know) except when I’m feeling overwhelmed and awkward, which was the case though out the Runner’s World Half and Festival weekend. As you all know by now, running is my passion. I absolutely love to run for so many reasons and, because of that passion, I have come to know and love so many things and people in the running world. Obscure to most, these running heroes and legends I have followed, read and cheered on for years, were amazingly right before my eyes last weekend and it was surreal. I was desperately trying not to geek out too much, but it was increasingly difficult from the very start. Here’s a glimpse into the sights and sounds from a weekend in my dreams where mentors and Oylmpians were all around me. Although I met Bart Yasso first, I have to start with Deena, mostly because when I saw her I wasn’t quite ready for it. 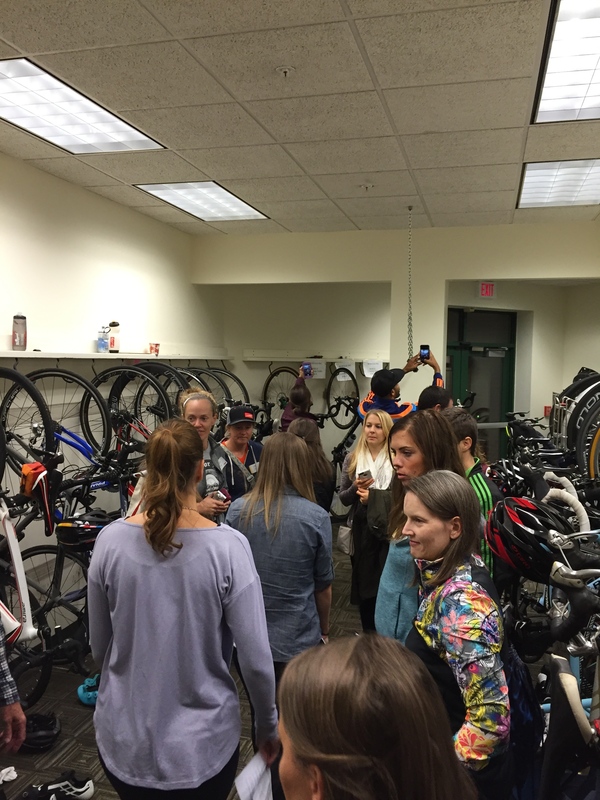 The very night we arrived we were loaded onto a bus and driven to Rodale/Runner’s World HQ. 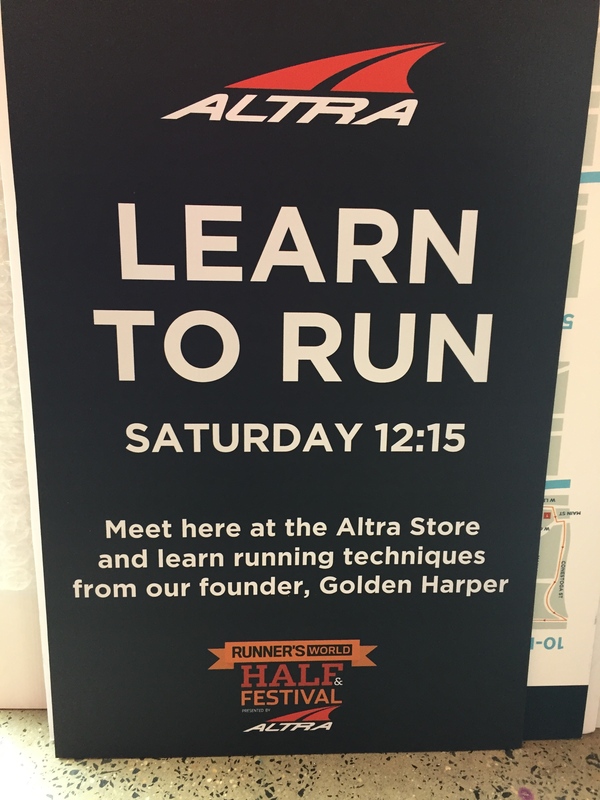 Rodale is the parent company of Runner’s World and we were told Bart Yasso and a lot of the editorial staff would be there. 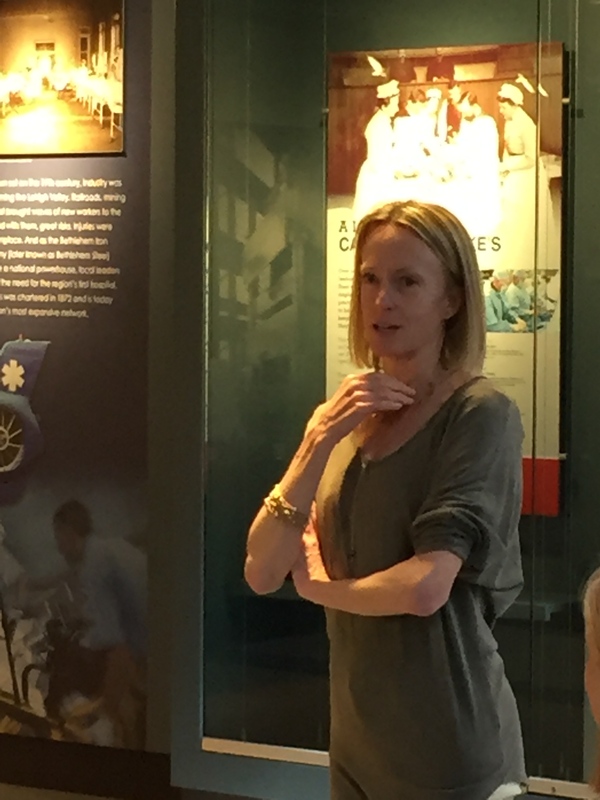 Literally two minutes after entering the building, Deena Kastor walked around the corner with her entire family. Holy ********! Deena holds American records in the marathon (2:19:36), half-marathon (1:07:34), and numerous road distances. She won the bronze medal in the women’s marathon at the 2004 Olympics in Athens, Greece and just recently shattered the Masters (over 40) half-marathon record at the Chicago Marathon with a time of 1:09:36. She is now 41 years old and is my hero more then ever. Deena is a real life human. You know how when you meet a celebrity or someone who is famous to you and, because you have these huge expectations or fantasies you have built up in your mind, you’re actually surprised to hear them talk about things you can relate to? Well, that’s how it was meeting Deena. She took an individual picture with every single person in this photo and did it happily. – She’s thinner in real life then she even looks in her photos. The woman is like a whippet and looks as fast as she actually is. She also eats a lot just like every healthy runner. I know this because I sat next to her at lunch! – Of course when she sat down I congratulated her on her most recent awesomeness of killing the masters half-marathon record and asked “Did you know from the beginning that you were going to do it?” She looked at me like I just asked her if she wore a monkey suit to race in and said “OMG no! I was filled with doubt at so many moments and it was such a difficult race!” She continued to talk about the race and how she felt but my mind was looping something like “Holy what the hell is happening…you’re talking to Deena Kastor!” so I’m not really sure what else she said. – When asked what he pre-race meal is she said it’s the most boring this ever – toast and a banana – and also added “I eat bananas because runners are supposed to eat bananas!” Wait…what? We’re all eating bananas because YOU eat them! Obviously she does not understand she is the alpha runner and is leading our pack, right down to what we have for breakfast. **We also thought just toast and a banana was so little for a pre-marathon meal until we remembered she races a marathon in our half marathon time or possibly 10k time. Touché. 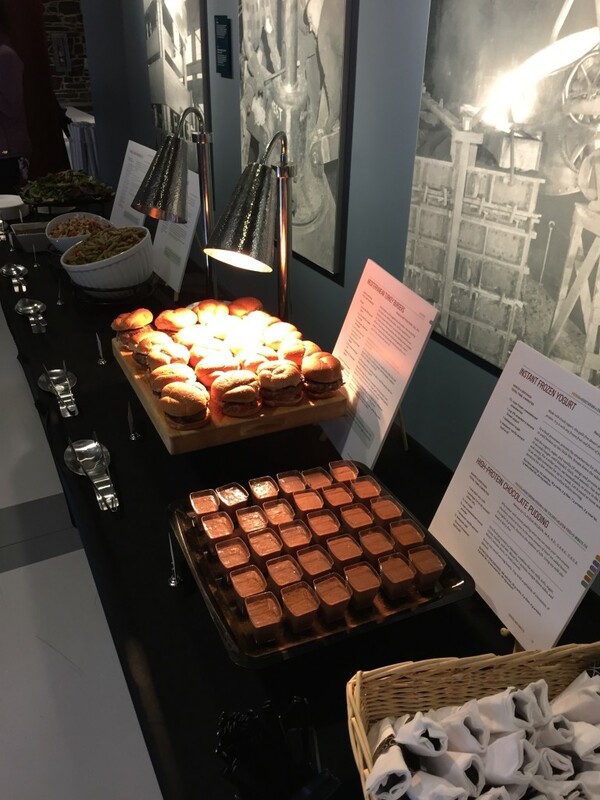 Some of the most delicious food we had for lunch. All meals were cooked from the “Meals On The Run” cookbook. Can you guess who publishes that? – She talks herself though races just like we do. She was telling us about a very close race she had and, when coming down the final miles, she looked back a lot (a big no no in racing!) and said there were a lot of “oh shits!” going on in her head. Why are we all eating bananas? – The most moving and human moment came when she talked about trying to balance being a mom and being an athlete. She was struggling with having a new baby, and training to be an Olympic athlete once again, and then had a very disappointing race. She started crying saying how when she crossed the finish line she felt she had failed as a mom and as an athlete and was totally overwhelmed. Well, pretty much every mother runner in the room was crying with her because we have all been there! It was so moving and just so real. Back inside, I spied this legend who runs the infamous Manchester Road Race near my hometown, each and every year on Thanksgiving Day. Back in his prime he used to win it. Oh and he also won the freakin’ Boston Marathon in 1968. Amby Burfoot. The man, the myth, the legend. Amby Burfoot and Deena Kastor in one picture. Pinch me. The ambassador of running himself, the charming, witty and highly energetic man came outside to greet us as soon as we stepped off the bus. Little did we know, we were in for a wild ride on the Bart train! 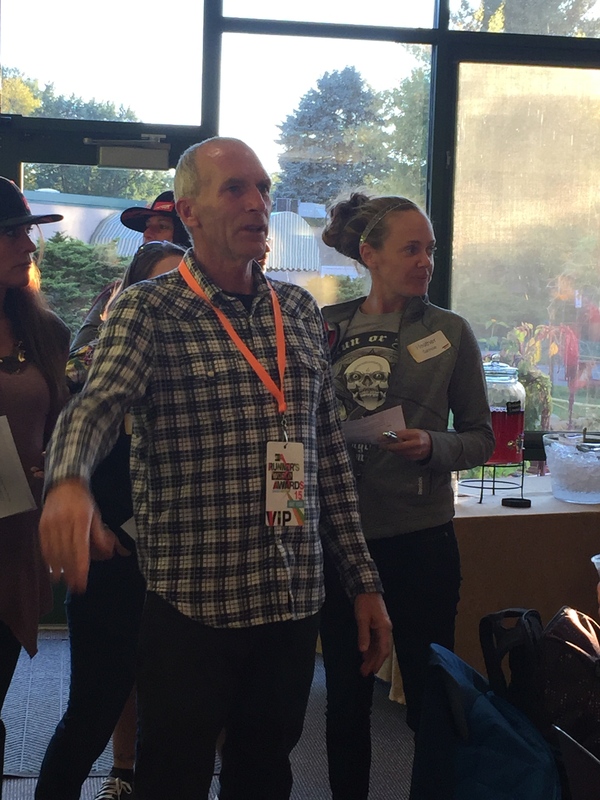 He was equal parts tour guide, motivator, inspirer and running legend. Starting our tour inside RW HQ. It’s hard to put into words the energy this man gives off. He’s high on life and has a passion for running I have only seen in myself. He makes you want to give him a huge hug and then run 157 miles. I’m so happy I had the chance to meet him, see his home, ride in his car and run with him. 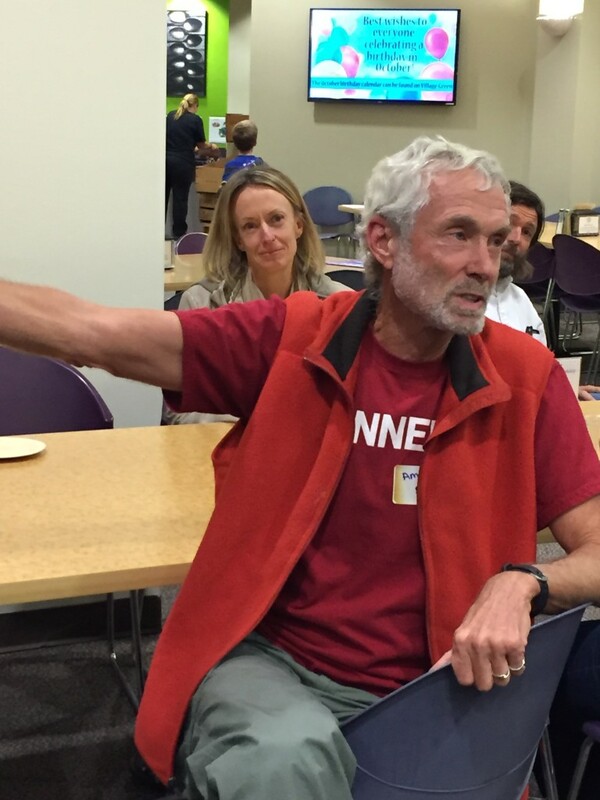 Mr. Yasso is the inventor of Yasso 800s and is also one of the few people to have completed races on all seven continents from the Antarctica marathon to the Mt. Kilimanjaro marathon. 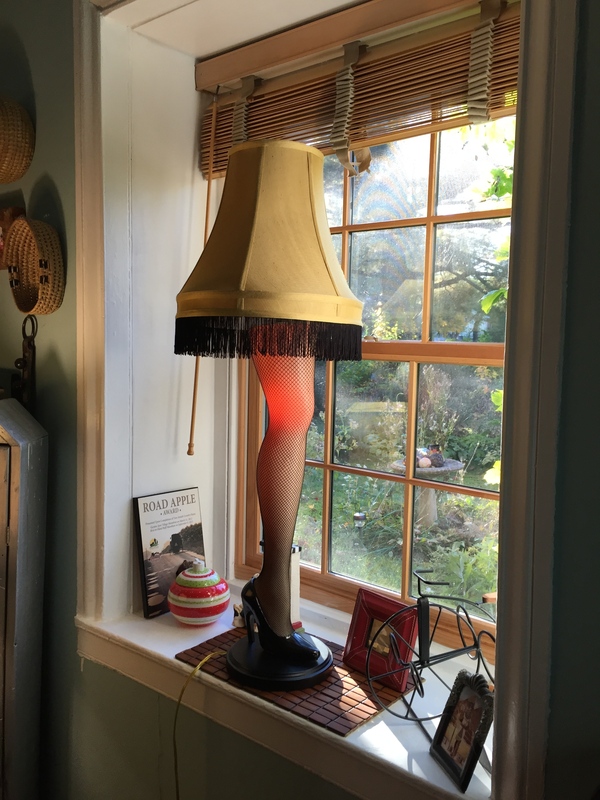 In 1987, Yasso won the U.S. National Biathlon Long Course Championship and won the Smoky Mountain Marathon in 1998, a picture of which he has in his living room! He has also completed the Ironman five times and the Badwater 146 through Death Valley. He has also cycled, unsupported and by himself, across the country twice. 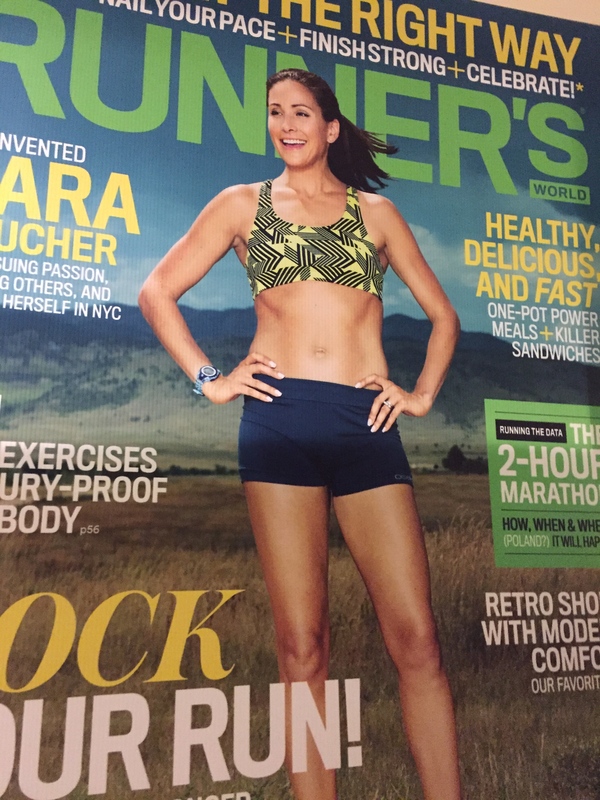 Not a bad resume for Runner’s World’s Chief Running Officer. Is that a great title for a business card or what? Um, let’s see…I had never been in Bart’s car or his home until last week. Friday morning we were leaving the trail, after getting a sneak peek of the course for that afternoon, and I was a little behind since I was tossing out my coffee cup in a proper receptacle, lest the forest be ravaged by my Dunkin Donuts Styrofoam cup. As I headed back to my van, Bart rolled down his car window and said “Do you need a ride?” Is that a joke? Hell yes I do! Just driving around with the actual Bart while flat Bart was in the trunk in between myself and David who took this great shot! After a quick trip to Starbucks to get more coffee, Bart decided we needed to see his home, and not just drive by but get out and go inside. It was a little odd to have a pack of runners entering his house, but we were the only ones who seemed uncomfortable about it. I think he just truly embraces the running community and, knew how in awe of him we all were, and he wanted to share as much as he could with us. Outside casa de Bart. It’s a lovely home and I believe it was built in the 1700s! Many of you have probably already seen this but how cool can this guy get? This is how they lay out the magazine! It was so interesting to me because I wish I could have something like this at home just for all my day to day responsibilities. I’m such a visual person so this would help tremendously! This is the door to Bart’s office. How can you not love it? Do you know where I keep all my bibs? In my garage. Also, the “coolest” ones I have are from Spain, the Boston Marathon and the first time I qualified for Boston. Bart has ones from around the world and it’s just amazing that he keeps coming back to this space to hang them up. And, if you don’t know what the Comrades Marathon is you should google it and be prepared for your head to explode. Finally, I saw this sign at the race expo. Um, isn’t it a little late for this? Have you ever met a hero or someone you really admire in real life? How was the expeirence? What is one of the most random photos you have? 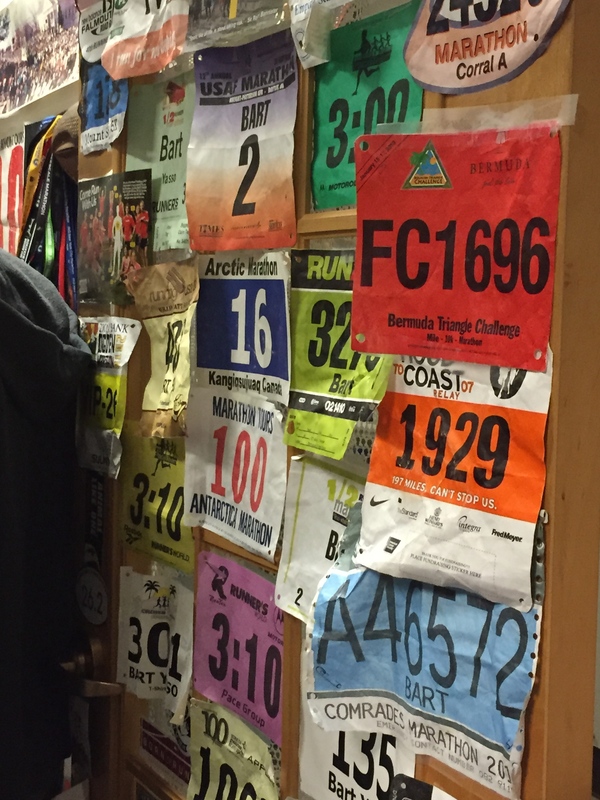 Where is your favorite or coolest race bib from? Ok, I was jealous before, but now….Are you kidding me?!?! Eating lunch with Deena (I was shocked how tiny she is too when she came flying by us in Chicago! 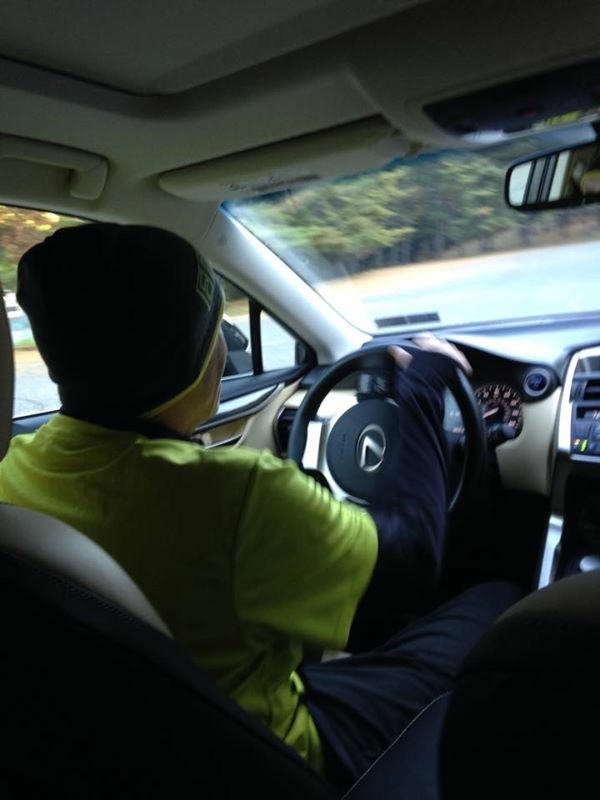 ), being in Bart’s car and just being in RW headquarters – it’s a running geeks dream! It was a total dream come true and I want to go back and do it all over again! I played it off in person but in not person? 🙂 I too marveled at when whole “stars they’re just like we are” notion. It’s such a weird thing! Glad you can relate and I would totally lose it over Matthew Broderick too! It was so funny to just go into Bart’s house like no big deal LOL. I had a great time and I’m glad you did as well. Deena’s speech was truly one of the most moving and inspirational speeches I’ve heard in so long. It totally blew me away. I don’t know what I was expecting but it wasn’t that! Loved it. It was just out of the park insane! I’m so glad Deena is the ambassador everyone thinks she is…and MORE! It was one of the best speeches I have ever heard and it was just so informal too. She was literally just speaking among us and from the heart. Loved it so much and will be calling on her words as I race though the city!!! 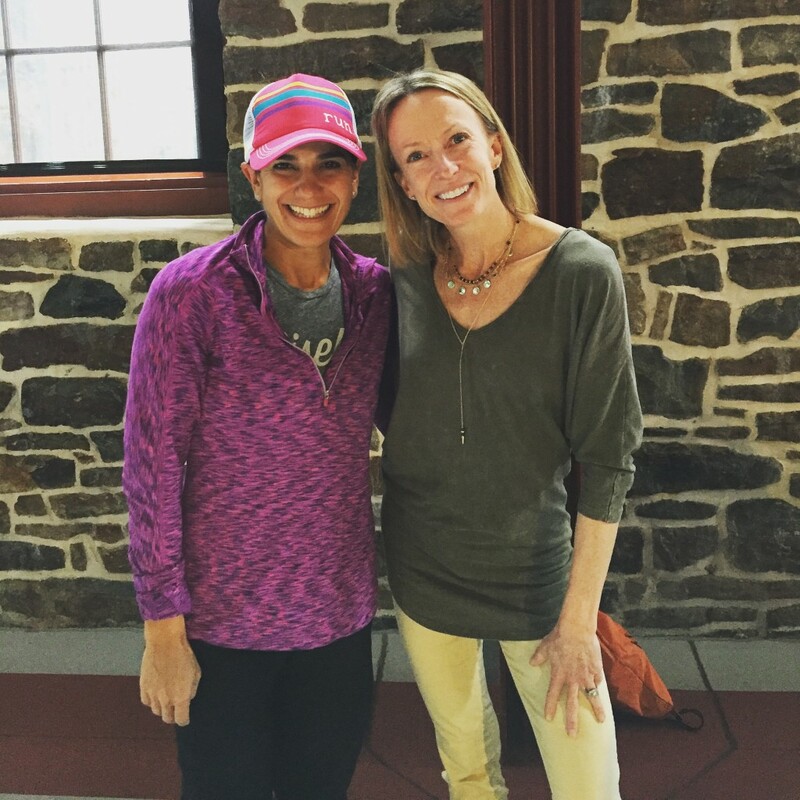 I was totally bowled over by Deena Kastor too. So enamored that when she said she eats bananas even though she hates them, for a second I almost decided to start eating bananas too. I also hate them! Ok, I have yet to eat a banana, but I do ask myself WWDD? LOL I know!!! That part was just insane because, really? No one has to eat bananas – rejoice banana haters of the running world! I was totally in tears when Deena was talking! It was refreshing to know that she deals with all the same mom guilt and life balancing that we do. Love this fun recap– let’s go back!! Totally! For someone like her to talk so openly and honestly just blew me away. Totally unexpected and so amazing. Awesome experience. I love reading between the lines and feeling your surprise and excitement. YES! There was a lot of that! Glad it’s coming though… Thanks. So much amazingness in one post!! I’ve been waiting for this update and it didn’t disappoint. I am so psyched for you that you had even some extra behind-behind the scenes moments by sitting next to Deena and going on the Bart train (#iseewhatyoudidthere). And I LOVE all the photos of the offices! The layout of the magazine is so cool! It was truly a weekend made in running heaven!…and I still have so much more to share about the races. 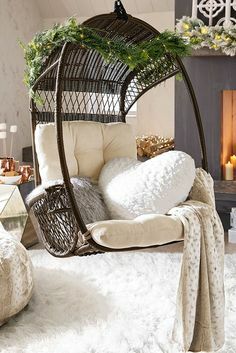 By the time I’m done, it will be Christmas and I’ll have like two readers left! Thanks Carly. Yes – exactly that!! I don’t know what I expected but she was truly amazing. It was quite the lunch!! I didn’t know what to do when Deena sat down at our table – that was way too awesome! Loved hearing her speak. I know!!! So crazy and I keep reliving it each time I go for a run. 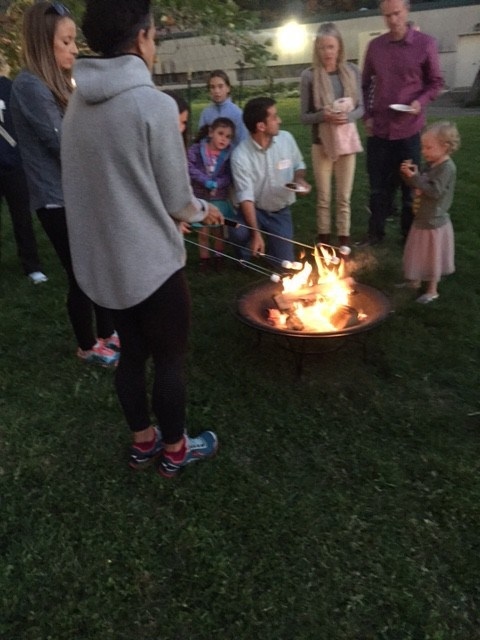 S’mores with Deena Kastor?! Hanging with Amby at RW headquarters?! Bart Yasso as your personal chauffer?! That is AWESOME! Can’t imagine what it must have felt like – surreal to say the least. What a great experience it must have been to be around so many living running legends. 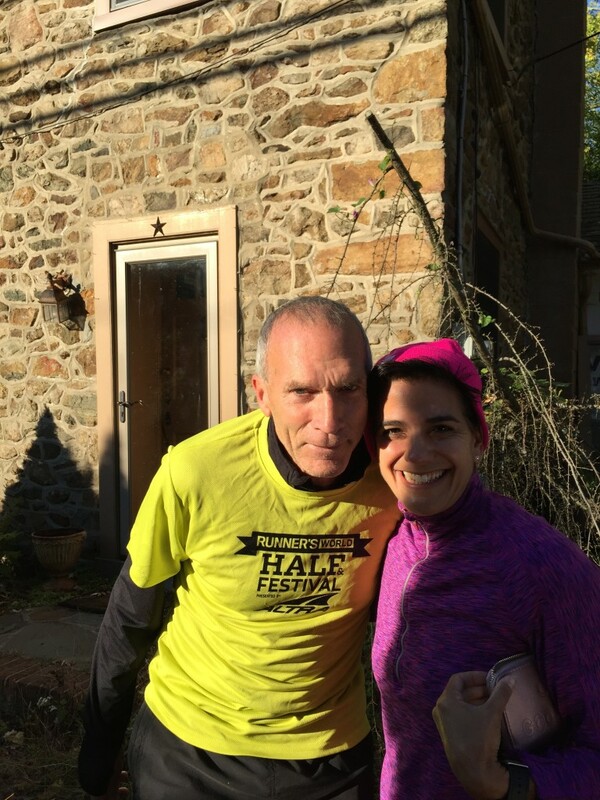 Minor point, but to add to how incredible Deena is, she actually set the masters half-marathon record last year in Philadelphia, and this year at Chicago, set another masters record for the marathon. Great to hear how down to earth she is. Certainly seemed that way from what I’ve read and seen of her. Thanks for sharing your adventure. And congrats on a great weekend of racing! What an amazing weekend! Deena is one of my favorite runners – I would probably faint if she sat down by me at lunch. 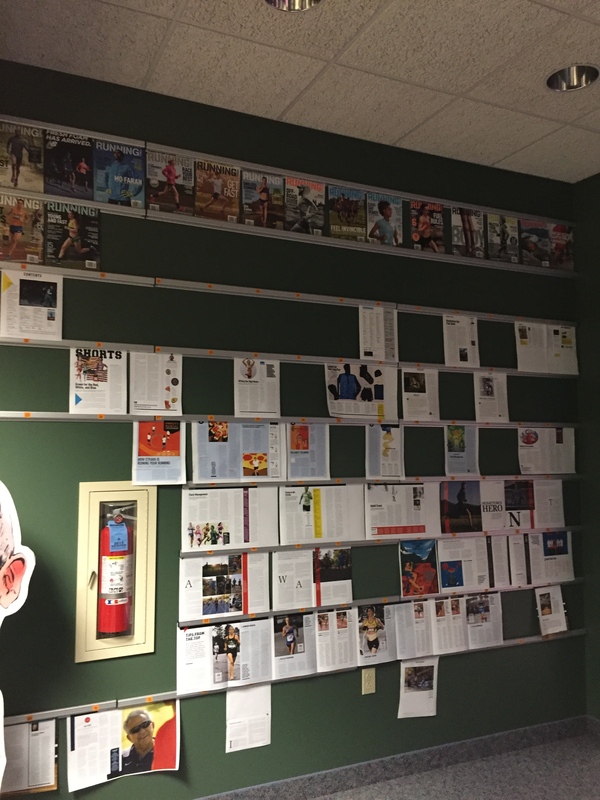 I love the sneak peeks around the RW office – I dream of having a layout board like that! She is amazing. Truly. And the weekend was like a living dream! And yes, that layout board is to die for, right? Thanks Laura! Uhhhhh if you go through all 6500 photos in my iPhone… You will think they are ALL SUPER SUPER SUPER RANDOM. Manfriend was going through them yesterday and was like UHHH why the F do you have a picture of a Rhino Tooth in here? And wait, what, you took a picture of me when, doing what, where, at what time? LOVE that so much and what the hell is a Rhino tooth? An actual rhino tooth or is that code for something? I’m confused. What else is new. I love how fan-girl you get, Allie! I’ll admit I don’t know who these people are, but I’m excited for you because this was clearly an amazing experience. Yay! Dana recently posted…Is love all you need? I am a total fangirl and it’s embarrassing. My husband was singing “my wife’s a total nerd” as he was reading my blog. I own it! O.M.G. I met Bart at the Chicago Marathon expo and I felt like I was winning! because he agreed to be interviewed for my blog book club. But you got to go to his house? And you met Deena? I’m in awe. Bart is so awesome, isn’t he? It was a completely surreal experience to do all of those things all weekend. All I want to do is go back! I met Deena about a year ago at my local Fleet Feet store. She is just so REAL. Apparently, her husband is originally from my area. So she was just here with Piper to visit her lovely in-laws. So much normal wrapped up in true greatness. I am loving living vicariously through your posts about the RW 1/2 weekend. Looking forward to more! Yes – totally just so normal. I don’t know what I was expecting but she exceeded all of my expectations. How cool that she was just shopping around FF! I should have been more clear. 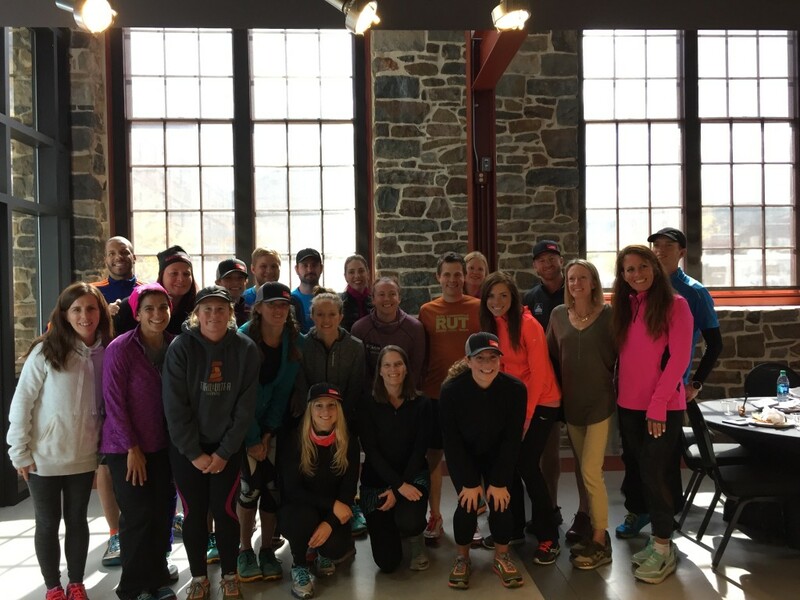 Fleet Feet hosted a “Run with Deena” event. Sorry! OH!!! No problem. I totally thought she was in the area and just shopping around 🙂 Thanks for that. i loved meeting Jeff Galloway, that was really cool. i have very goofy pics with him. this morning i got a goofy pic of me doing my daily plank while my yorkie stared at me, waiting for me to throw her mouse that she placed right under my chest… so i incorporated the toy throwing into my core work as i alternated arms. hahaha happy weekend! 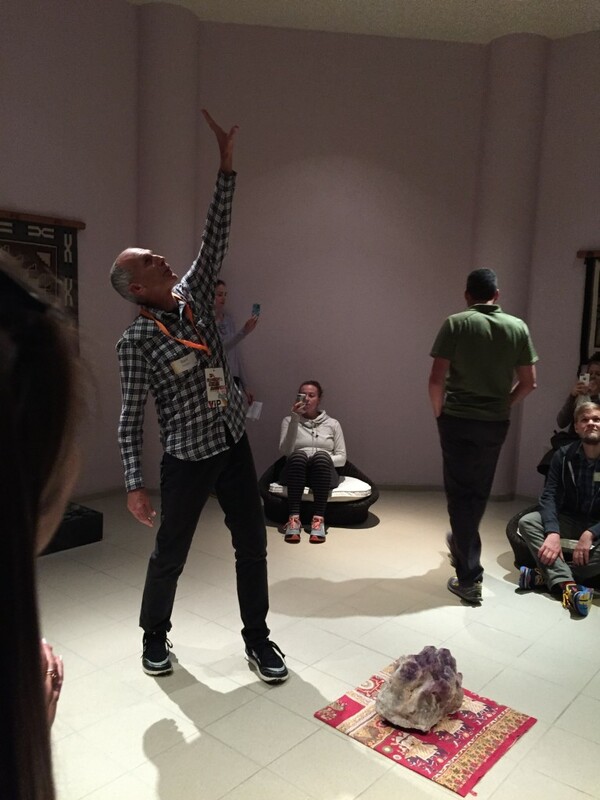 Great post and what an amazing experience! I would love to get a chance to have an experience like this in any race I do in the near future. ANDDDDDDD that lamp?! AMAZING! Dude, this is the coolest post ever. So much freaking awesomeness. I was jealous stalking all of you on social media and now I’m that much more jealous!!! It was so, so amazing. We really need to do something about that Ragnar race of yours because you would love this!! I thought it was the weekend after Ragnar? OMG yes! It is. I was confusing it with the Rise.Run.Retreat. Perfect! 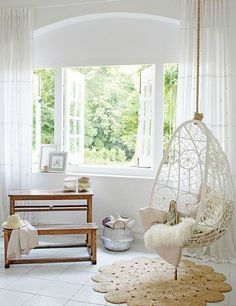 We should really make this a must after the Rise.Run.Retreat of course!